Zebrafish (Danio rerio) brain. 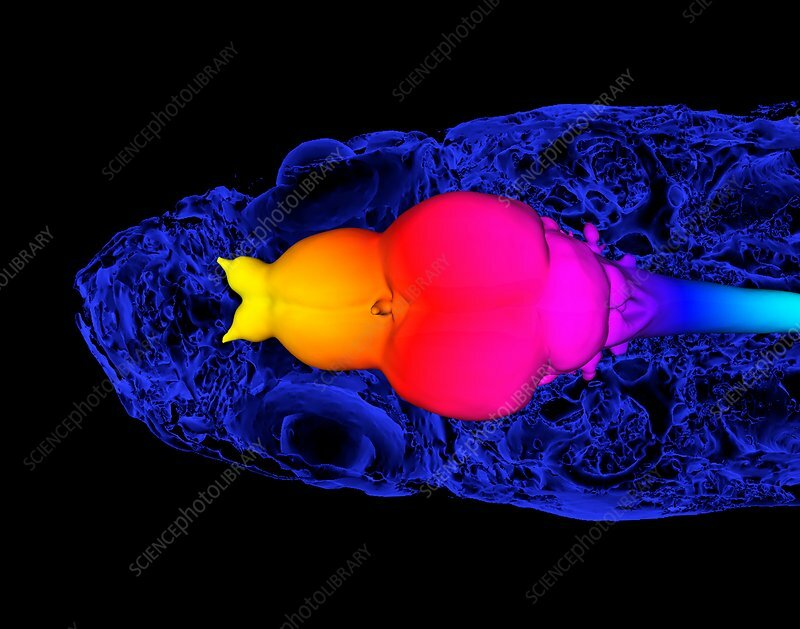 Coloured micro-computed tomography (micro-CT) scan of the head of a zebrafish, with a 3D illustration of its brain (centre) superimposed on it. The zebrafish is a tropical freshwater fish belonging to the minnow family.